Do Beer Drinkers Experience Withdrawal Symptoms? Can beer drinkers have withdrawal symptoms? There is a misconception among some drinkers that if they stick to beer it is somehow better for them than drinking the "harder" stuff. Of course, it is true that you can get more intoxicated faster by drinking whiskey, simply because you have less fluid to swallow. You can down a 1.5 ounce of liquor a lot faster than you can a 12-ounce beer. But when it comes down to it, there is just as much alcohol in a can of beer as there is in a standard mixed drink or a 5-ounce glass of wine. Each represents a standard drink when determining whether you are drinking at a safe level or at a high-risk level. Alcohol withdrawal symptoms can occur when someone stops drinking alcohol. Those symptoms can range from mild, moderate or severe, but the severity of the symptoms has nothing to do with the type of alcohol the person stopped drinking. So yes, beer drinkers who stop drinking cold turkey can experience the same level of alcohol withdrawal symptoms as those drinkers who consume liquor or wine. The recommended guidelines for beer consumption are the same as they are for any other alcoholic beverages: 4 or fewer beers a day for men and less than 14 beers a week. For women, it's 3 or fewer beers a day and no more than 7 beers a week. Any beer consumption above those levels is considered high-risk drinking: it puts you at increased risk for developing an alcohol use disorders and for developing negative health consequences. How much, how often, and how long you consumed alcohol play a role in how severe the withdrawal symptoms might be. If you drank only one beer a day, your withdrawal symptoms (if you have symptoms at all) are going to be a lot less severe than if you drank a six-pack. If you drank only three times a week, chances are your withdrawal symptoms will be less severe than if you were a daily drinker. And, if you drank a case a week for 30 years, your withdrawal symptoms will probably be more severe than if you decided to quit after two years of that level of alcohol consumption. Other risk factors are more personal: your size, gender, genetics, and even race can have an impact on your reaction to alcohol consumption and withdrawal. Are Your Withdrawal Symptoms Mild, Moderate, or Severe? 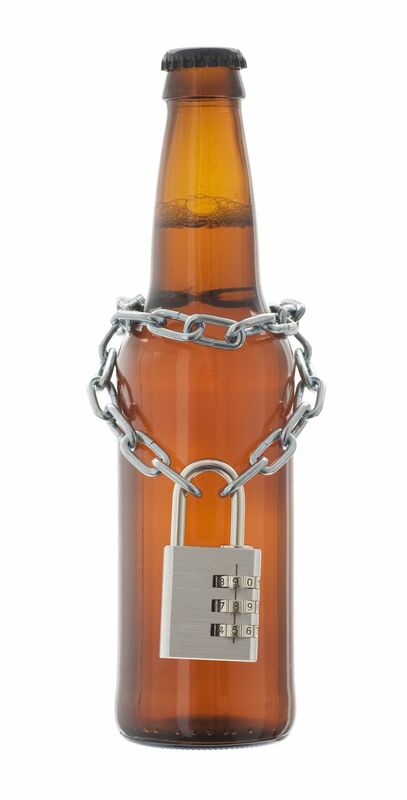 Do you have withdrawal symptoms when you try to stop drinking beer? Answering these 10 questions will give you an idea if your alcohol withdrawal symptoms are mild, moderate or severe. Severe symptoms, which usually occur about two days after withdrawal, can be life-threatening, so it is important to consult a doctor if you have concerns. The test is completely confidential and anonymous; your results are not recorded and are available only to you. You are not asked for any personally identifying information. Medline Plus. Alcohol withdrawal. 2015. Web. Monasco A, Chang S, Larriviere J, Hamm LL, Glass M. Alcohol withdrawal. South Med J. 2012;15:607-612. National Institute on Drug Abuse. Treatment approaches for drug addiction. July 2016. Web.